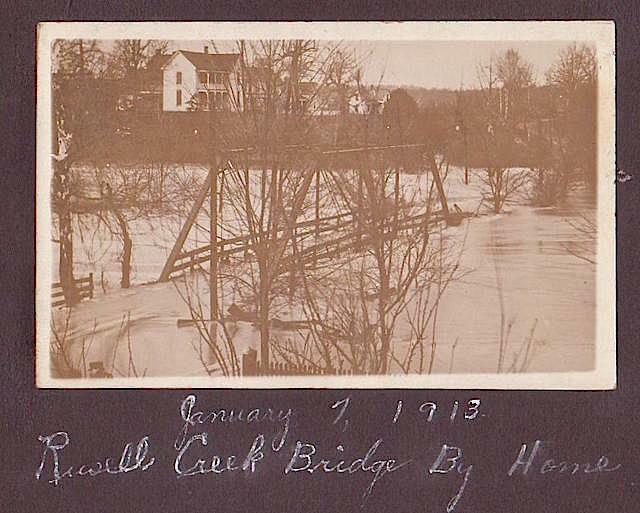 2019-02-11 - Campbellsville Street, N Hwy 55, Columbia, KY - Photo from family collection. Ann Curtis shared this keepsake from her mother's collection, taken from the Sandusky yard (probably porch), and says there seem to be several views of this it in existence. Mitzi's picture from last month of this flooded bridge showed more of the crowd in the yard.